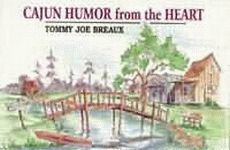 Tommy Joe Breaux invites you to “sit down, relax, an’ pass a good time” with the crazy characters of Breaux Bridge, Louisiana. 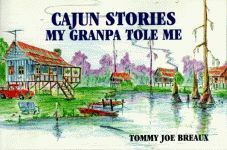 Cajuns are famous for their storytelling talents and their ability to laugh at themselves, and Tommy Joe is a bona fide Cajun, I garontee! Paperback. Old favorites Elmo and Marie, Poo Poo and Stinky, and ole Doc Duplichan return for even more fun. Paperback. For the greater part of the first half of the eighteenth century, Louis Juchereau de St. Denis was the guiding force on the Louisiana-Texas frontier. 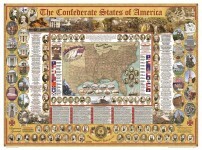 It is probable that no other man exercised such a determining influence over so long a period in the early affairs of Louisiana and Texas. His rare talents served a vital and peculiar need for colonial France in a critical and most formative period. Paperback. Ann Hollowell, host of The Cooking Lady, assembles some of her best Southern recipes, throwing in a dash of humor as she tells the funny stories behind her favorite foods. Hollowell suggests where you can add a bit more of this or try that instead, because cooking should be about having fun and experimenting. With a history as dark and bloody as any in our nation, the Natchez Trace has always been more than just a thoroughfare. Growing out of a need for a return route for flatboats that floated down the Mississippi, the Trace winds up from Natchez, Mississippi, through Alabama and ends in Nashville, Tennessee. Acclaimed children’s-book author Johnette Downing pays homage to the cultural legacy of Mississippi in this charming book that incorporates many of its native flora and fauna. Her delightful text, adapted from a traditional song, presents a lyrical and visual tribute to the many iconic images and symbols to be found in the state.